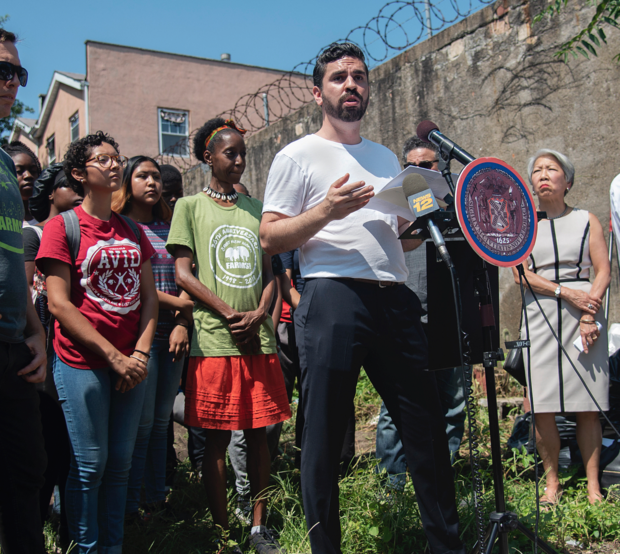 Local Council Member Rafael Espinal, launched his historic campaign to become the next Public Advocate for the City of New York earlier this week. If he wins his campaign to become the next Public Advocate, Espinal will become the youngest person in modern history to be elected into citywide politics. He would also become the first Latino elected into a citywide office in New York City. A press release from Espinal's campaign states that "The campaign will build on Rafael’s successful tenure in the City Council where he enacted 15 pieces of legislation-- the most of all his colleagues-- and launched several high-impact campaigns fighting to protect New Yorkers cultural spaces, drastically reduce plastic waste, and improve living conditions for all." Espinal expressed his concerns for a rapidly changing city through the press release. Espinal's career as a council member in the city has been defined by his creation of New York City’s first night mayor, push for eco-friendly legislation and fighting for affordable housing. To learn more about Espinal's track record as a local elected official and how he plans on using that for his campaign, check out his campaign website. To learn more about one of his recent initiatives as the city's "night mayor" and his collaboration with Bushwick's House of Yes here. Bushwick Daily will continue to cover Espinal's campaign as it goes on. Stay tuned for more coverage.